Five years ago the AAS joined AmazonSmile, giving members and friends a new way to support the Society. 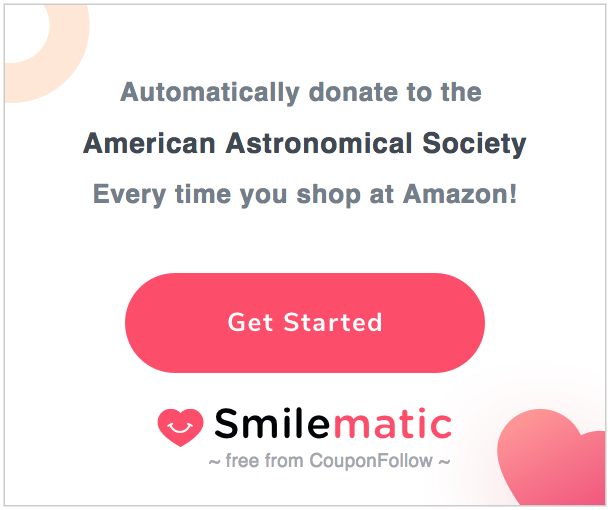 When you shop at smile.amazon.com, you find the same low prices, vast selection, and convenient shopping experience as on Amazon.com, with the added bonus that Amazon donates 0.5% of the purchase price to the AAS! It’s simple, and it doesn’t cost you anything! But there's a problem: According to industry data, most supporters of their favorite nonprofit organizations forget to go to smile.amazon.com before they start shopping at Amazon! A new tool from the developers behind the CouponFollow shopping site are trying to change that.